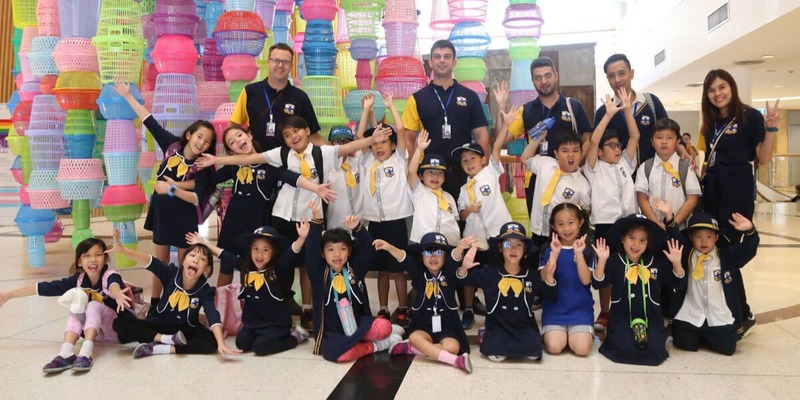 The Grade 1 and Grade 3 learners went on a field trip to the Bangkok Arts and Culture Center. 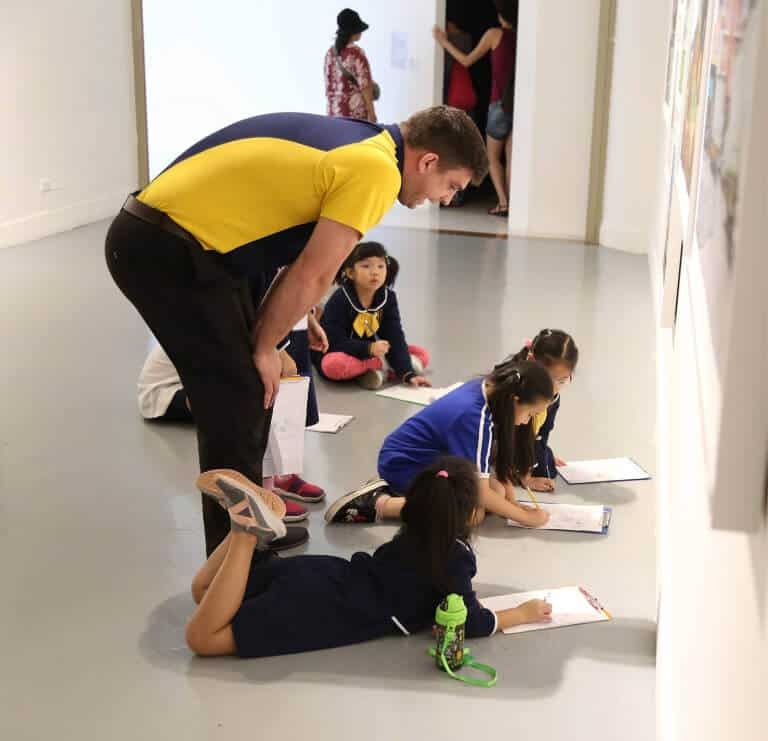 The BACC is currently displaying artwork as part of the Bangkok Art Biennale, a city wide art event, displaying the works of over seventy-five artists from thirty-four countries. For many of the learners this was their first time viewing art in a formal gallery setting. The learners were able to experience a wide range of artistic disciplines, from traditional painting, drawing and sculpture to more modern practices such as photography, video and installation art. Whilst in the gallery the learners were asked to pick three artworks to focus on and investigate in depth. The investigation involved making a visual study of the artworks by drawing the art and taking written notes describing the materials, colors, sizes, shapes and textures of the artwork as well as any sounds or smells that may have accompanied the artworks. The learners also had to search around the gallery to find out the names of the artist and the artwork. The learners were encouraged to be as inquisitive as possible and to look at the artwork from different directions and viewpoints. Finally the learners were asked to respond about their own personal experience of the artwork by reflecting on what emotions, memories or thoughts the artwork evoked for them. Once back at school we will follow up on the learner’s experience of the gallery visit with group discussions about the artwork they saw. The learners will contemplate on which artworks they enjoyed the most, their understanding of the work and the general environment of the gallery as they experienced it. Lastly the learners will be asked to reflect on how they can incorporate elements and ideas from what they saw and experienced into their own artistic practice. For more information on BACC, you can visit their website: http://www.bacc.or.th.